Six-eight is not a very 'rock music' rhythm, but four-four time is. Here is a preview of the module performance. 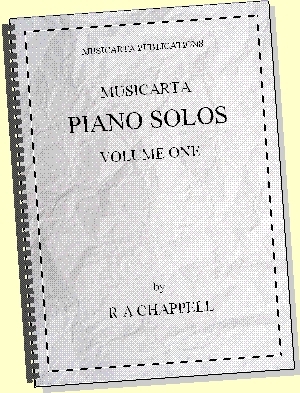 Rock music is also generally lower in pitch than Pyramids so far – further to the left on the keyboard, towards the bass, so in the first four-four version in this module, the right hand plays the chords that the left hand played in the last two modules, and the music for both hands is written in the bass clef. The left hand plays just the root of the chord. Add an even four-crotchet rhythm, at a medium walking pace. Develop the bass line using approach note patterns from the Developing the Bass Line module. 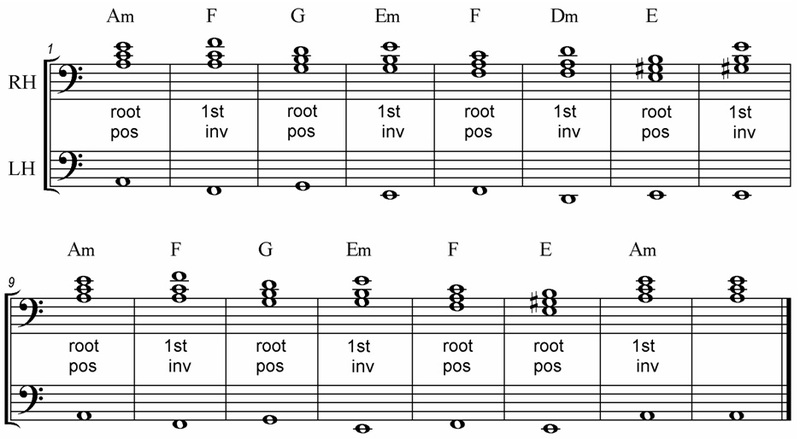 Repeat the root in the bass, on the second beat of each bar. Next, try to move the added note to a syncopated (off-the-beat) position between beats two and three. The following section has some tips for learning to do this. Playing notes off the beat (syncopated) is an important part of modern popular music style, but it can be difficult at first. Whether you are playing from the music or copying a performance, it helps to be very clear about what you are trying to play. There are two ways to be sure, which are combined in practice. The first is counting, and the second is the TLR (together, left, right) analysis. 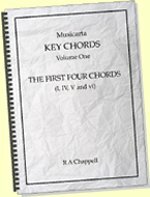 The four crotchet beats in four-four are counted one-two-three-four. Any quavers in between are counted ‘and’, without changing the steady pace of the crotchet beats. Together-left-right, or TLR analysis makes it very clear whether the hands play together (T) or on their own (L/left or R/right) on the counts you have identified. The TLR analysis of the current example shows this. 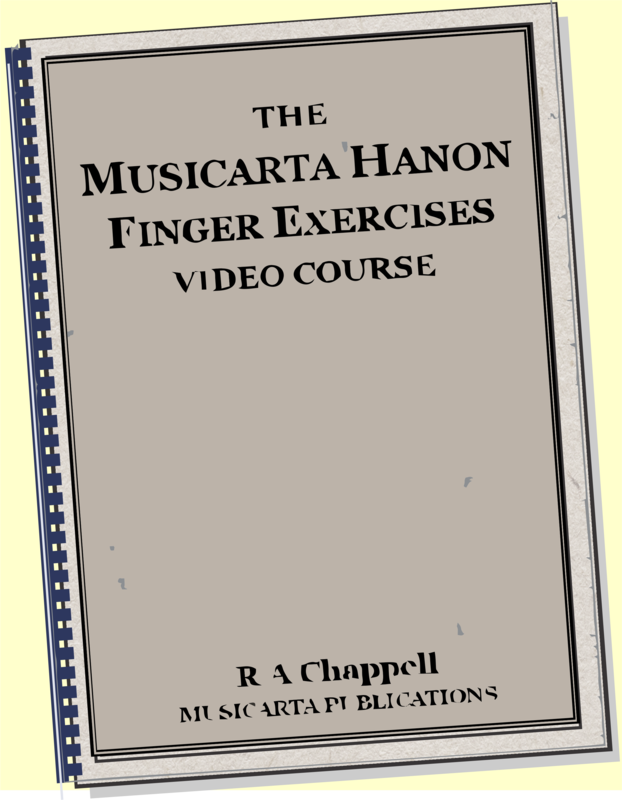 It is best to teach your hands this movement without having to think about the notes or even the rhythm at first. Think of the movement of the hands as a series of ‘events’, and tap the series out on your desktop or the case of your keyboard. Say out loud what you expect to happen. The trick is to abandon the rhythm while you learn to pattern and take as long as you need between taps to be sure that what you are going to do is what the series says you must do next. Apart from the very first ‘together’ beat, the events come in groups of three. If you say and tap these groups, you have nearly got the rhythm right. When you come back to the keyboard to play the notes, simplify the music and repeat just the first two chords until you get the pattern right. When you can play this rhythmic pattern, finish the version. You can use any of the developed bass lines from the earlier module. 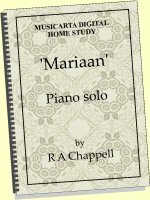 The approach notes come on the last two quaver beats – “four and” in the four-four rhythm. 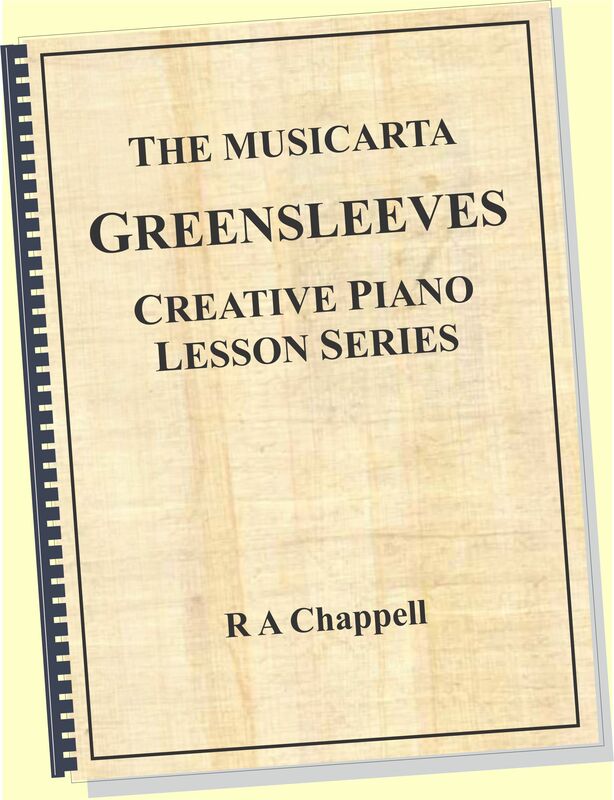 A bar of four-four has four crotchet beats, or eight quaver beats. In popular music, the eight quaver beats are often divided into groups of three, three and two (3+3+2). …with extra emphasis on the bold counts 1, 4 and 7. In the next four-bar example, the bass takes up the 1, 4, 7 rhythm. The bass notes are written to show you their three- or two-quaver length. In the example which follows (the last four bars, numbers 13 to 16), the bass line is written ‘properly’ – according to the time signature. Try playing a 16-bar A1A2 version of Pyramids with this pattern all the way through. 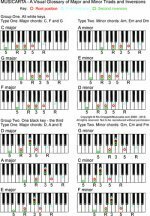 If you can, play developed bass line approach note patterns in the bass. We can use the last 2-quaver group of the 3+3+2 pattern to develop the melody using the moving approach note patterns from Developing the Bass Line and Descending Variations. Look at the approach notes in this example carefully. 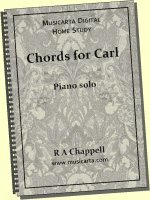 Make sure that you understand the descriptions of the approach note patterns, and complete a 16-bar A1A2 version, using any bass line you choose. Do the same for the following example. Note that the A9 bass line incorporates the circle of fifths, which you will learn about in the next module. Both bass lines are fully written out in your Workbook. The module performance second version - the second half of the video below - has meandering bass line. Treat it as an invitation to experiment!